Covers up to 32 sq. ft.Tubetak provides a permanent bond and one tube mounts up to 32 square feet of foam, depending on thickness. Other brands of liquid adhesive have been known to oxidize foam but Auralex guarantees that Tubetak or Tubetak Pro will not oxidize our foam products. Covers up to 32 sq. ft.
Tubetak provides a permanent bond and one tube mounts up to 32 square feet of foam, depending on thickness. 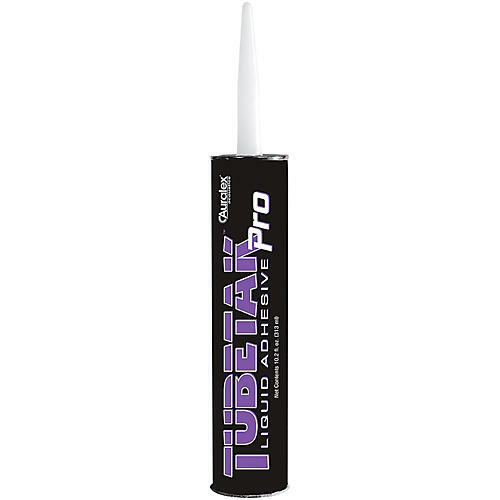 Other brands of liquid adhesive have been known to oxidize foam but Auralex guarantees that Tubetak or Tubetak Pro will not oxidize our foam products.